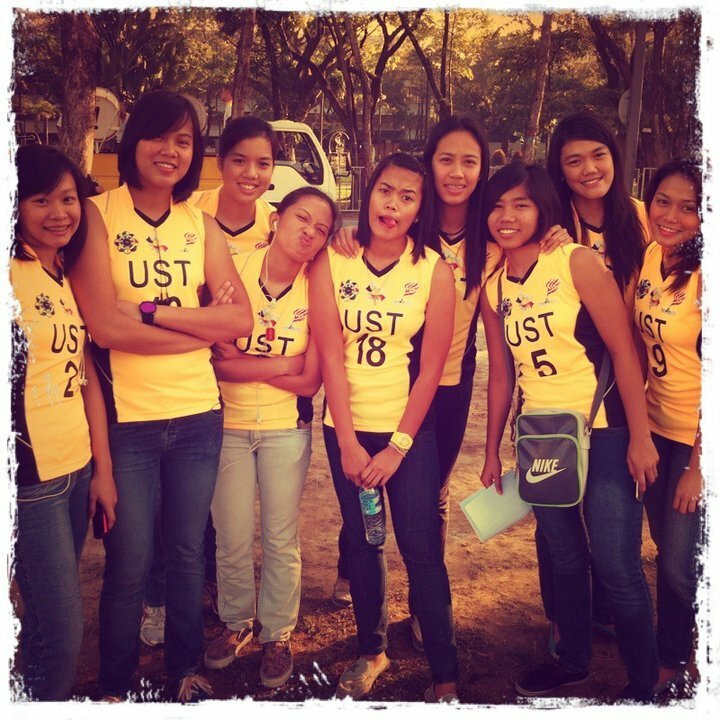 This is our first look at the new members of the UST Lady Tigresses. I still don't know the names of the player in between Maika Ortiz and Dancel Dusaran and the girl at the left-most part of the picture. If you know their proper names, you can share it to us. Thanks! Go UsTe! By the way here's the tentative team roster of the UST Tigresses fromUAAP Season 74 Facebook page. ahihihihi!! last season pa yan sila nasa lineup nakalaro na nga mga yan eh... si leah espiritu(utility) yung pinaka left si loren lantin(setter) yung between dancel and ortiz. actually nag-quit na si leah, already studying in a different university. kelan po pinipili ang isasama sa line-up? hi...congrats sa nu lahat,galing nyo,,lalo na c pam...for me,,kau ang chapion..